By Ashutosh KS in Mobile. Updated on January 14, 2019 . 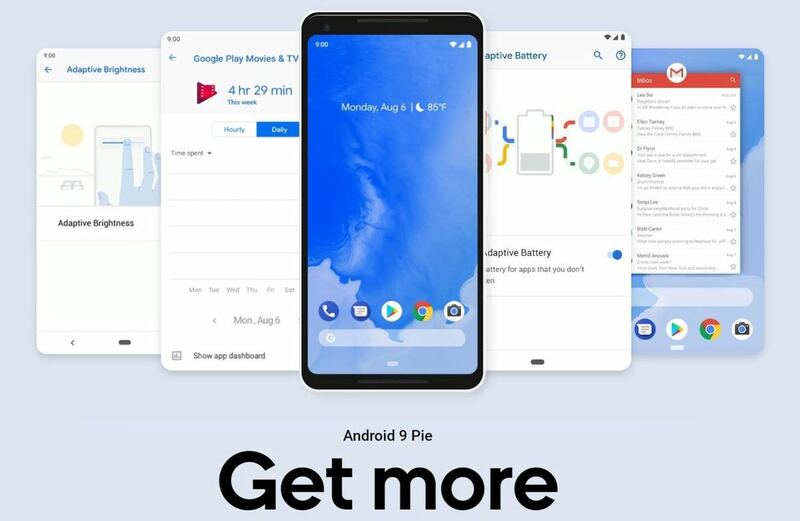 Android introduced today’s hottest technology — artificial intelligence — to your phone with Android 9.0 Pie. “Android 9 adapts to you“, says Google; and I could not agree anymore. But it is just the tip of the iceberg, of course. Android 9.0 Pie is built around the theme of adaptability, speed, and usability; which makes me like it even more. It introduces interesting features, some of which are most asked by the community. For example, it brings adaptive battery functionality, improved material design, and more. Though, the list of new features, improvements, and fixes is long; in the following write-up I am going to talk about the most anticipated features of Android 9. If you are an old fan of Android, you might have known the hardware navigation buttons, which were replaced by the software navigation buttons — until now. We now have another contender — gesture navigation, thank to the Pie. It felt strange to use at first, but now, it is my favorite choice for navigation. Gesture navigation is turned off by default, but you can quickly enable it from Settings > Gestures. On this screen, just toggle on the option named “Swipe up on Home Screen“. You will see a pill-shaped button at the screen’s bottom — you can tap it to go home, swipe up on it to check the recent apps, and do more. Digital Wellbeing is a set of features to help you know and restrict the amount of time you spend on your smartphone. It is hard to believe that most of us are addicted to these small screens, and Digital Wellbeing tries to rescue you from your addiction of checking out your phone on every notification or such. 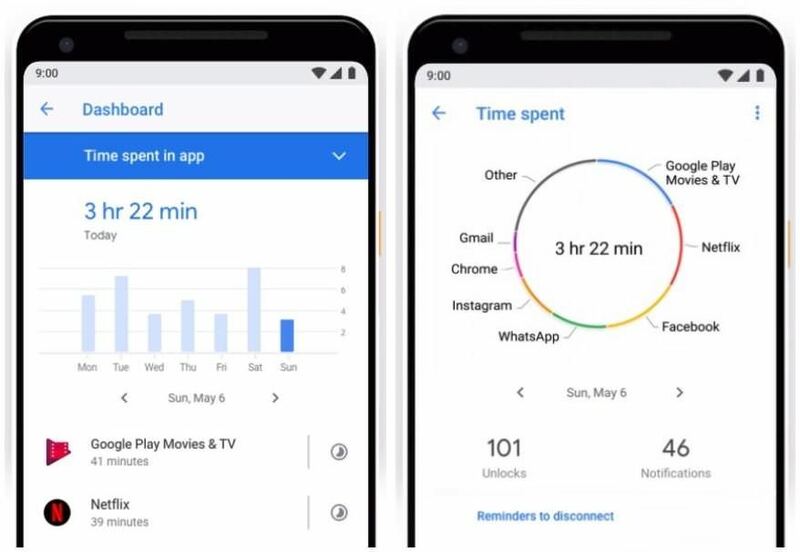 Its dashboard shows you data and graphs, like the number of times you unlock your phone, the number of notifications you receive from each app, and the amount of time you spend on your device. What caught my eyes is its App Timer, which lets you put time limits on apps, telling you to not overuse the apps. 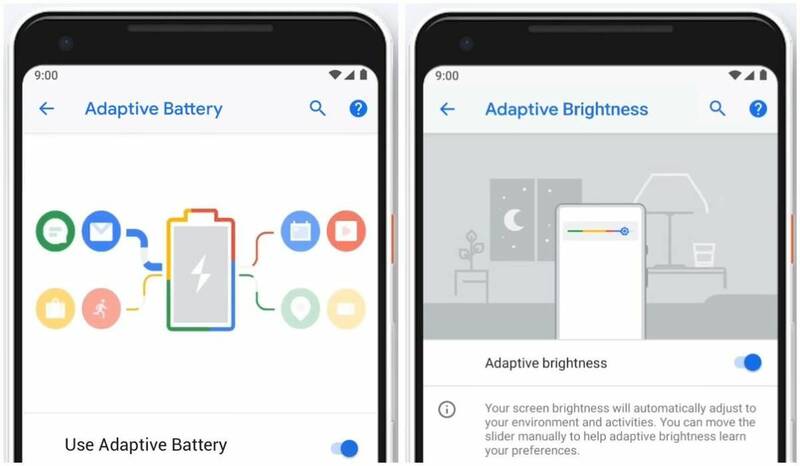 Android has made our lives easier with its automated features, and now, Pie makes them smarter by introducing Adaptive Battery and Adaptive Brightness. Android 6 introduced Doze, which restricts battery juice to all non-used apps. 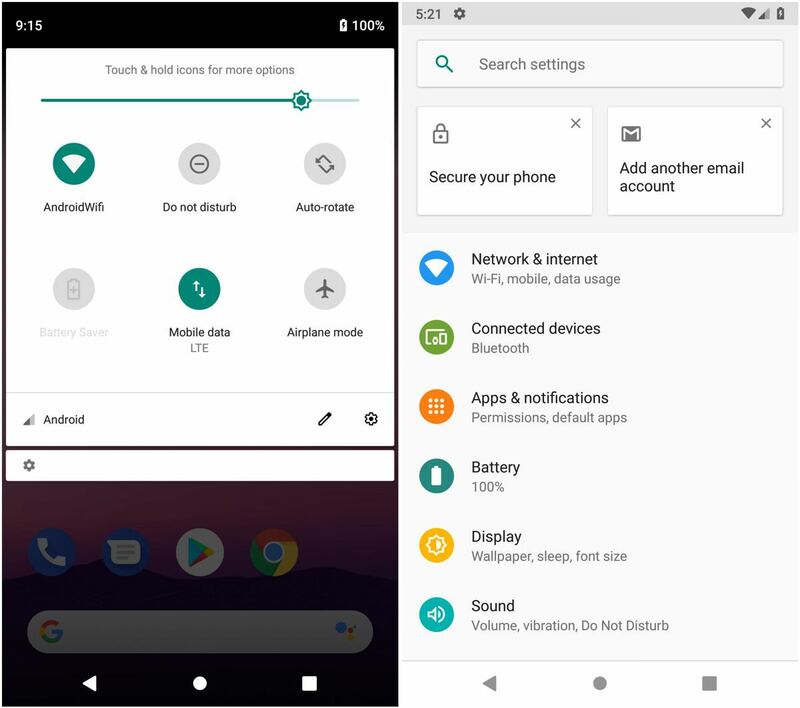 Android 9 takes it a step further by learning your app usage and optimizing the battery power for the most-used apps, allowing more battery time per charge. You can configure this feature at Settings > Battery > “Adaptive Battery“. In a similar way, Adaptive Brightness learns about your brightness preferences and configure the screen brightness magically per your surroundings. You only require adjusting the brightness slider, and it will slowly learn your preferences. You can enable/disable it at Settings > Display > “Adaptive Brightness“. 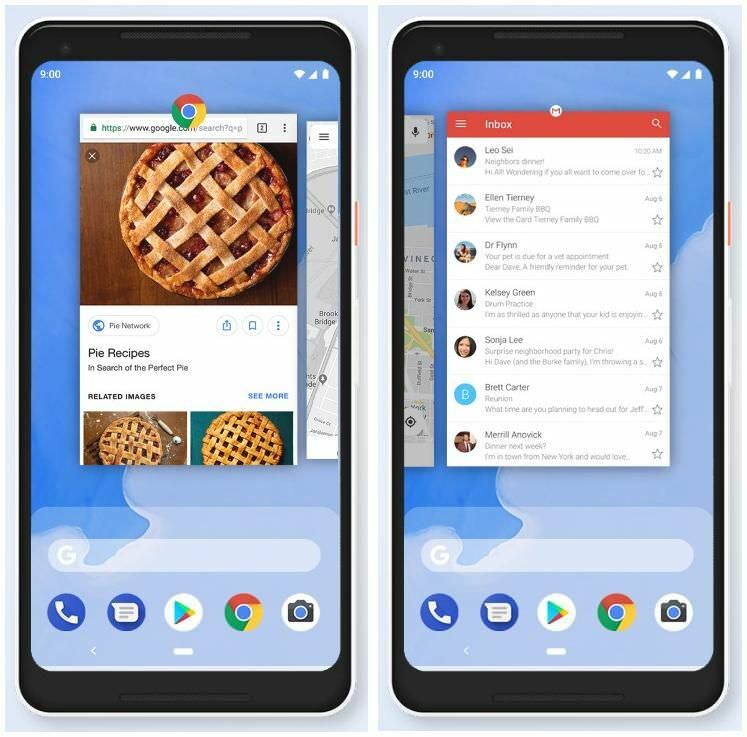 App Actions are another of the smart functions of Android Pie. Though you may have seen the app shortcuts on long-pressing icons, App Actions enhances your experience by predicting your next tasks. The feature is an improvement over the app suggestions shown by Google’s launcher or third-party launchers. App Actions are smart ways for assisting you to do what you need quickly. For instance, you may see a shortcut to start navigation in Google Maps in the morning if you use the navigation to drive to your office. It may suggest your favorite music app or a set of playlists when you connect the earphones. App Slices are an add-on over App Actions — they bring you the most important features of an app without opening the app itself. 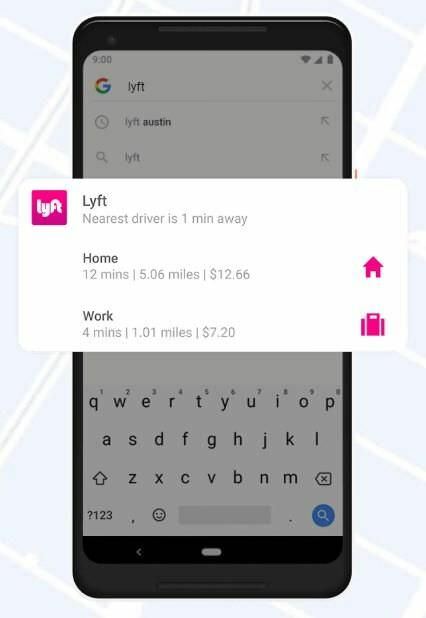 For example, if you search for “Lyft” in the Google Search, an App Slice of Lyft (the ride-hailing app) may show you estimated prices and times for known locations (like home and work). Interestingly, App Slices are interactive. For instance, you can work with the Lyft’s App Slice from the searches. That means you can select the cab options as well as the location for your ride and book a cab directly from the App Slice. Android 9 brings various privacy and security features to the popular mobile platform. 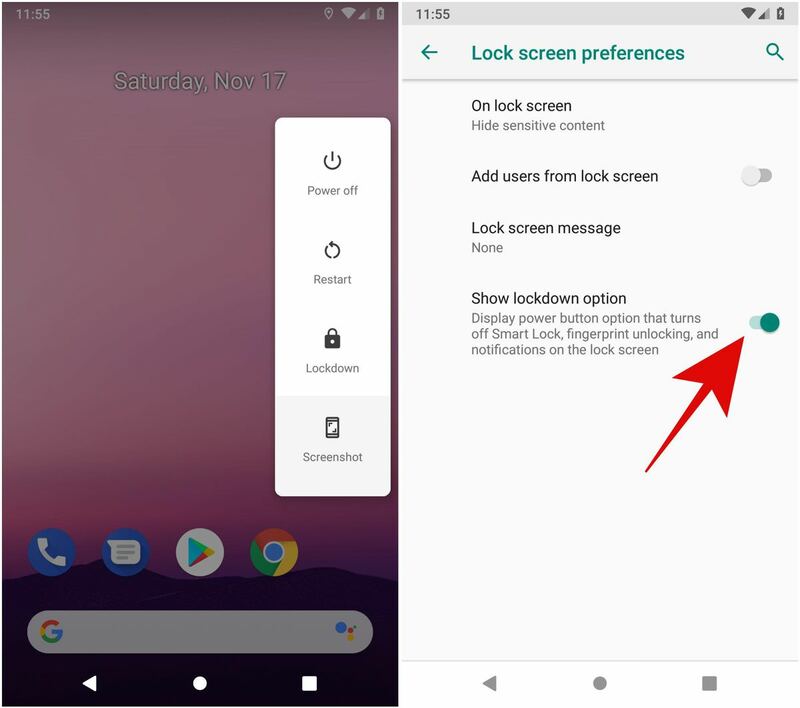 First and foremost of all, “Android will restrict access to your phone’s microphone, camera, or other sensors when an app is idle or running in the background”, according to Google. Secondly, there is my favorite feature. Lockdown — or as I like to call it — Device Lockdown is a lock screen feature to lock down your device. It disables notifications on the lock screen and disables unlocking using one of the fingerprint and Smart Lock. That means you must use your password, pattern, or PIN to unlock the device. Doesn’t it feel secure? You can enable this feature by going to Settings > “Security & location” > “Lock screen preferences” and toggling on the option named “Show lockdown option“. Once enabled, long-press the power button and tap Lockdown to use it. Android 9 has many tricks up its sleeve, and it features many sound and volume improvements among them. For example, it shows the volume slider on the right side instead of the top as shown in the previous versions. It shows just a single slider to adjust the media volume (de facto) instead of the ringer volume. Last but not the least, Android Pie brings better support for Bluetooth. You can have up to five devices connected to your device simultaneously and choose anyone to handle your calls if supported. 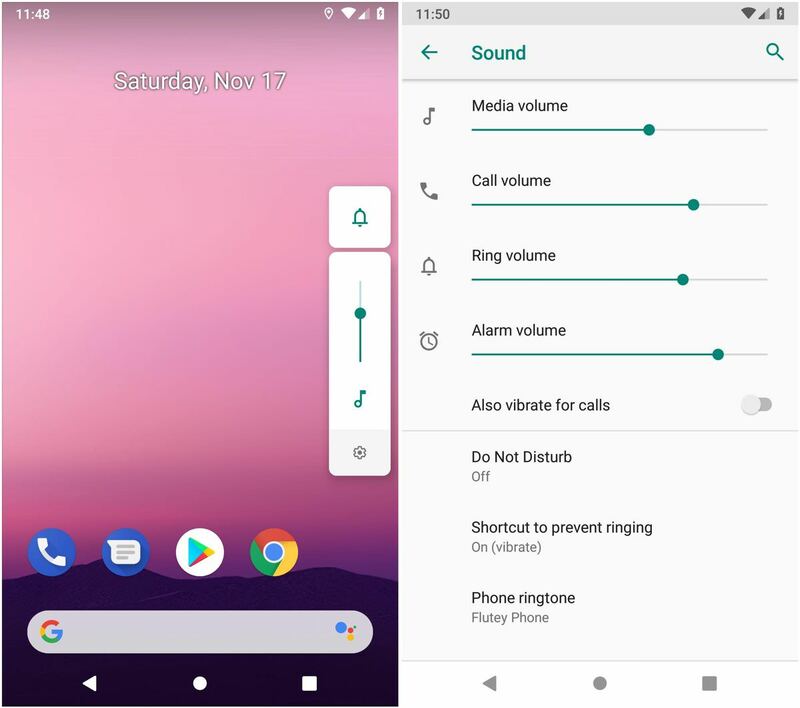 Moreover, your phone can remember the volume setting for each connected device individually, unlike before. Android Pie offers better control and reporting of the notifications. 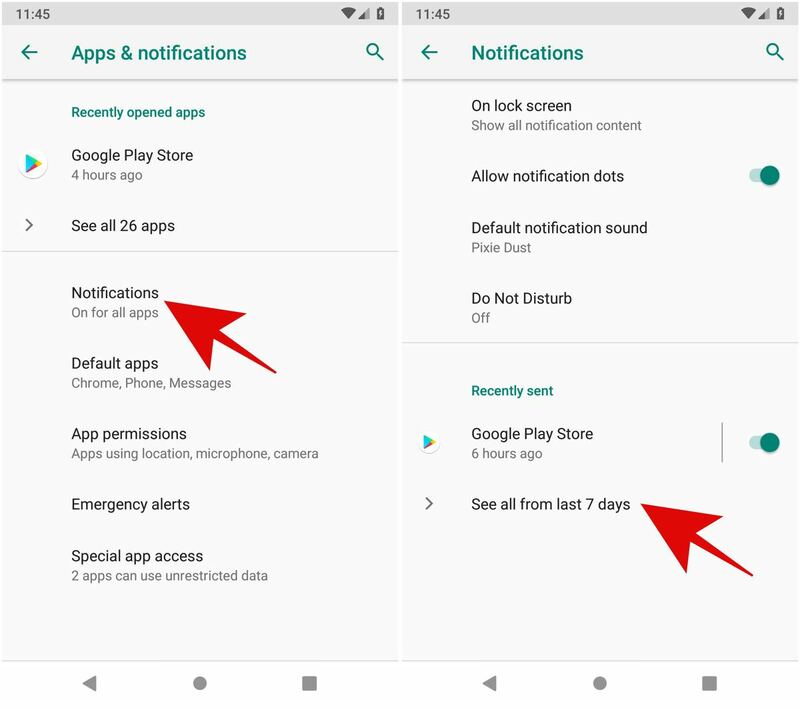 In previous versions, you needed to rely on third-party apps to check on the notification limit offenders, which was uncommon. Thus, apps usually distract you. That is not the case with the Pie — it offers built-in reporting of distracting apps. You can check out the misbehaving apps sending distracting notifications at Settings > “Apps & notifications” > Notifications. In the section “Recently sent“, click “See all…” to see the latest apps to send you notifications. Here, you can also switch to “Most frequent” to see the apps with most notifications. Finally, there is an improved Do Not Disturb as well. Previously, it used to mute the notification sounds, but in the Pie, it hides the notifications as well. Android 9 is no less in features for providing better user experience to the users. First of all, it brings an improved look — a modern material design with rounded corners. Then it offers a selectable dark theme, which you can enable at Settings > System > Display > Advanced > “Device theme” per your preference. Also, it offers an improved text selection experience. In the Pie, when you long-press to select text and grab its handle, you will see a little magnifier. The magnifier shows the magnified text, helping you to select the exact text. What do you love most in Android Pie? I have observed Android getting better and better with every release, and the Pie is no different. It brings more features than I can list in this post, and I even liked some of its subtle features. For example, it supports tamper-resistant hardware for storing apps’ private keys to protect them from theft from malware. Well, it is one of my favorite features in Android 9.0 Pie. What is yours? Please leave your comment below or write to me at @aksinghnet on Twitter.